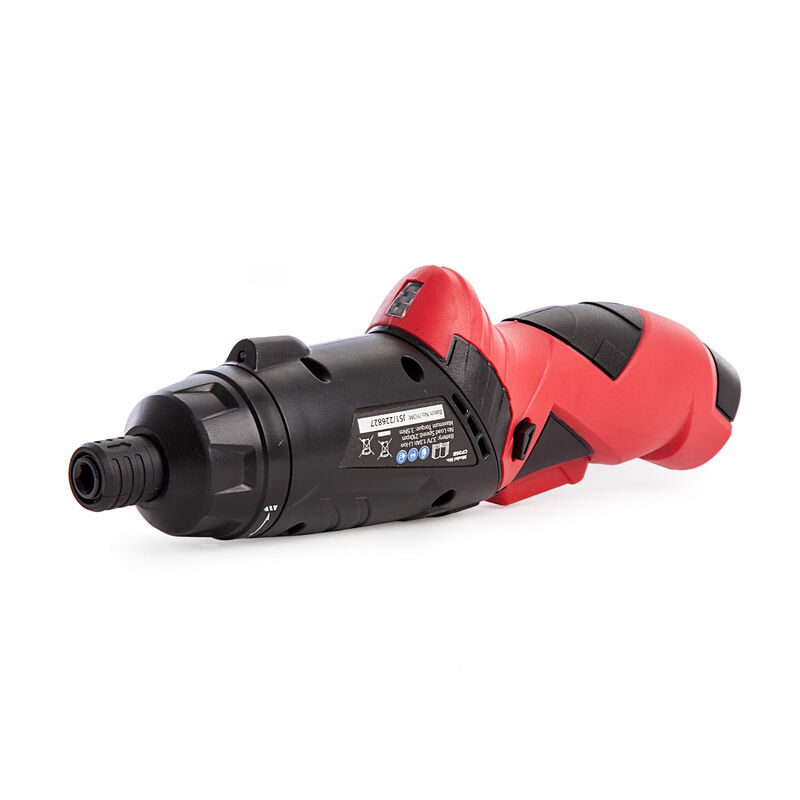 The Sealey CP36B is a compact, lightweight screwdiver powered by an internal 1.3Ah 3.7v Lithium-ion battery. 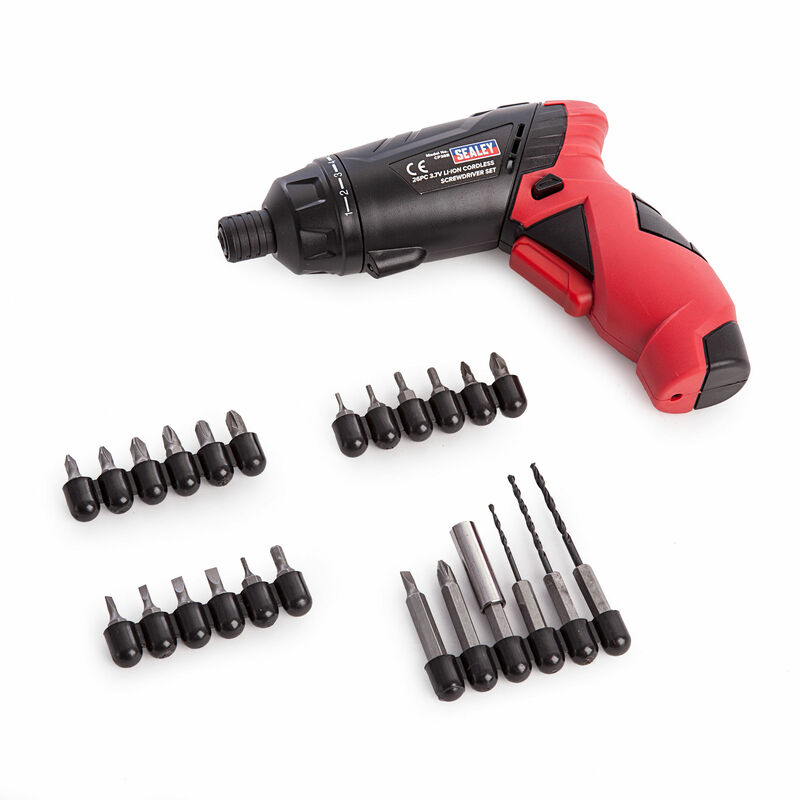 Supplied with 2 magazines integrates 24 assorted Bits for the most common screws, making it a convenient screw driver for all common DIY tasks. Other features include LED work light and three colour battery indicator. Compact, lightweight and comfortable to use. Features locking swivel adjustment from pistol to straight grip. Forward, reverse and trigger-lock with soft grip handle. Eight adjustable torque settings coupled with a quick release bit holder. Features LED work light and three colour battery indicator. Supplied with 24 assorted bits and mains charging cable.